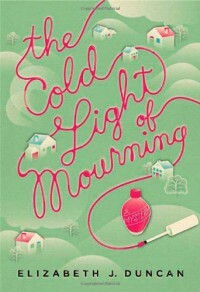 The Cold Light of Mourning - Elizabeth J. Duncan - review - So Many Books...So Little Time! Cozy mystery about a middle-aged lady running a nail salon in a little village in South Wales. 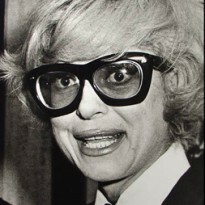 Penny Brannigan is a Canadian transplant, living a comfortable (boring) life. Her dear friend Emma has just passed away and the village is also getting ready for a big wedding. The son of the largest landowner in the area is marrying a beauty he met while working in London. The bridal party have arranged to get their nails done at Penny's salon but things take a turn for the worse when the bride fails to show for the wedding. And Penny is last person to have seen her! Does she hold the key to finding the missing bride? I think I may be getting a little too callous to read the cozies any more. Too many zombies, apocalypses, and vampires may be warping my reading enjoyment. The story wasn't awful but I guessed the bad guy pretty quickly and the story seemed disjointed in places, like the author had points that needed to be made throughout the story to make the whole thing plausible, so she stuck random bits of info in places where it was obvious what she was doing.